A conventional loan is a type of mortgage loan that is not guaranteed by the government or federal agency. This includes the Federal Housing Administration (FHA) and the Department of Veterans Affairs (VA). Lenders offer conventional loans that are usually fixed with specific terms and rates. Some conventional loans are also called “conforming” mortgages, because they conform to guidelines issued by Governmental Sponsored Enterprises (GSEs), such as Fannie Mae and Freddie Mac. These two governmental sponsors buy mortgages from lenders and sell them to investors. Other conventional loans are also called “non-conforming” mortgages, because these loans are much larger than the loan limits set by Fannie Mae or Freddie Mac. These mortgages are known as “jumbo” loans. “Portfolio” loans are also considered conventional loans, which are held by private mortgage lenders that issue their own guidelines. Since these lenders do not sell mortgages to investors, they can offer different features that other mortgages do not. For example, a lender may allow a borrower to use stocks or bonds or other investments as security for a mortgage. “Sub-prime” mortgages are conventional loans that are offered to borrowers with low credit scores. Because these borrowers are considered high-risk, lenders are able to issue higher interest rates and enforce stricter terms. What are conventional loan requirements? A conventional loan requires borrowers to put down as little as 3 percent. Because lenders require borrowers to put down under 20 percent of the home’s value, they are able to issue higher interest rates and fees. In addition, because lenders allow borrowers to put down as little as 3 percent, they also require borrowers to purchase private mortgage insurance (PMI). PMI is a premium lenders issue to borrowers that put down under 20 percent. This premium is an additional monthly fee rolled into borrower’s monthly mortgage payments. The premium only protects lenders if borrowers stop making payments. The way a borrower’s PMI is calculated is based off their credit score. Meaning, the better your credit score, the lower your premiums. A borrower’s debt-to-income (DTI) ratio is another factor lenders calculate. Typically, DTI for a conventional loan can be as high as 43 percent. However, some lenders may accept higher ratios, but this depends if the borrower has a higher credit score or sufficient cash reserves. You can calculate your DTI by subtracting your monthly gross income by all of your recurring monthly debts. When borrowers apply for a conventional loan, most lenders will require borrowers to have at least three months’ worth of cash reserves after closing. Simply, this means borrowers must have three months’ worth of funds to cover monthly mortgage payments in addition to other home-related costs. This will give lenders reassurance borrowers are financially fit to finance the home beyond the closing day. This will give lenders a better idea of what rates and terms they can approve borrowers of. Conventional loans were designed for those who have a credit score as low as 620 and are unable to make a down payment of 20 percent. Because lenders allow borrowers to put down as little as 3 percent, they can issue a higher interest rate due to their credit risk. In addition, require them to purchase private mortgage insurance (PMI) to protect the lender if the borrower stops making payments. Depending on the type of home, borrowers will need to have a specific credit score, down payment amount and at least three months of cash reserves after closing in order to qualify. Your lender can evaluate your financial stability and desired loan amount to determine if you are qualified to finance a conventional loan. This varies from lender to lender, but most commonly, a lender will allow borrowers to put down as little as 3 percent of the home’s value. However, it is recommended to put down more, so you can qualify for a lower interest rate and better terms. In addition, to avoid paying more or none at all for private mortgage insurance (PMI). What is the difference between a conventional and an FHA loan? A conventional loan is a type of mortgage that is not insured or guaranteed by the federal government. All this means is that lenders will not be reimbursed for the loan if the borrower stops making payments. Because conventional loans are not guaranteed by the government, lenders can require borrowers to purchase private mortgage insurance (PMI) if they put less than 20 percent down. Other conventional loans include conforming mortgages. Conforming mortgages must follow guidelines set by Fannie Mae and Freddie Mac. Again, because there is no governmental insurance for the lender if the borrower defaults on mortgage payments, conventional conforming loans are more difficult to qualify for compared to an FHA mortgage. As a rule of thumb, lenders are more willing to approve potential borrowers for a conventional conforming loan if they have a good credit score, a steady income and can put down 20 percent (if using a conventional loan, as little as 3 percent). An FHA loan is a mortgage loan that is insured by the Federal Housing Administration. This means, if a borrower financing an FHA loan fails to repay the loan, the FHA will reimburse the lender for their loss. Because an FHA loan is guaranteed, lenders are able to offer competitive interest rates, terms and low down payment amount. In addition, borrowers with low credit scores are eligible to qualify, which makes the idea of homeownership still achievable. Similar to a conventional loan, lenders will require FHA borrowers to purchase mortgage insurance if they put less than 20 percent down. What is the debt-to-income ratio for a conventional loan? A debt-to-income (DTI) ratio is calculated by taking a borrower’s monthly gross income and subtracting it by their monthly debts, such as credit card bills, student loans, car payments, and other recurring debts. This ratio gives lenders more clarity of how you are left financially, while handling other debts. 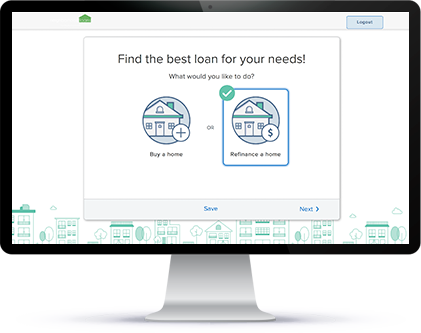 Because mortgage payments are an additional expense, lenders like to see that borrowers are making more money compared to the amount they owe. Typically, for a conventional loan, lenders like to see a borrower’s DTI of 43 percent or lower. Some lenders may make exceptions to higher ratios, but borrowers would need to have a higher credit score and a solid amount of cash reserves to compensate.